Serving families since 1946, we as the McKenzie Family want to be there for families as if they were part of our family. 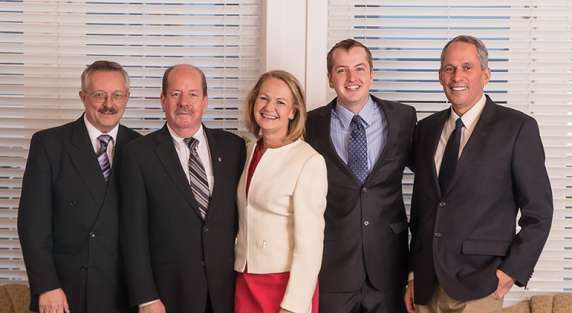 Unlike other Funeral Homes who may be a corporation, we want you to get to know who we are and how we can help. We are available 24 hours a day, 7 days a week: You won't get a call center when you phone. Every time you call us you will speak directly with one of our staff members. Your loved one will always come back to our Funeral Home: They never go to a ware house. Most funeral providers don't own a sheltering space for their loved one following a death. Not to worry, we do. We make sure your loved one is our care. Our Personalized Services: As a Funeral Director we not only provide services for Cremation and Burial we also provide catering services, personalized stationary items, video tributes, webcasting, engraving services, and much more. Every family will receive one on one attention and service from us at all times. Celebrations of Life: Our team can create a memorial event to celebrate the life of your loved one. We have been planning these lasting service for the past two decades. Our staff can create a vibrant atmosphere to honour your loved one the way you and your family would be proud of. Contact our team about these service or visit our celebration of life page. Owned & Operated Crematorium: We do not third party our cremations. Our crematorium is located in the Garibaldi Highlands in Squamish. You can rest assured our staff handles every cremation and you know were your loved one is at all times. Community Resources & Outreach: As your neighbour, we want the best for you and our community. Our goal is to help you with your path after losing a loved one. We offer resources for grief, bereavement, legal, and estate planning. Online Services: Right now you can pre-plan or arrange your funeral arrangements directly on our website. You can even find our prices for both burial and cremation. We want to make sure you get all the information you need when making funeral arrangements. Whenever we're faced with difficulties, we find comfort in those we know and trust. People we can count on to do their very best to help us. This is especially true when a loved one has passed away. If, at this very moment, this your experience, please know the members of our professional staff are your friends and neighbours. Providing families with well planned preparations in their time of need. Providing comfortable, soothing surroundings where family's and friends can gather to honour and celebrate the life of a loved one.